Blue Tom Records’ fifth annual Hear 901 Music Festival, sponsored by Rock 103, South Main Sounds, returns to the Bluff on April 13th, 2019. This show features the labels three newest artists, Dylan Amoré, Jordan Occasionally, and Bailey Bigger as well as some new talent to the Bluff stage. Coming together for a joint release show, our artists will all be performing their recently released singles for the first time. The lineup will also consist of Shawn Campbell, Claire James, Compton McMurry, EEZABELLE, Geist, Kasondra, Megan Barlowe, She’Chinah and Phillip Bond. The Hear 901 music festival is produced by Blue Tom Records, a record label managed entirely by University of Memphis students. In addition to this festival, the student label releases new albums every year and produces the annual This Is Memphis music festival during the fall semesters. Kasondra is a new artist on the Memphis scene. Just like her sound, her influences are nothing short of eclectic. She grew up in the church, but was quickly drawn to soul/pop infused music like Destiny's Child. She also sang in and arranged for choirs and a cappella groups around Memphis, and started gigging in a wide array of cover bands about 3 years ago. The diverse Memphis community and family she has formed has influenced her music and continues to inspire her lyrics. Megan Barlowe sees music as a reflection of society, and she believes an artist’s true self is potentially revealed in what they write about the world. In that way, she wants to use her music as a way to give a piece of herself to listeners. She draws inspiration from a variety of genres and eras, including motown, r&b, neo-soul, and popular music. Her lyrics are curated from bizarre occurrences in her own life and the observable universe. Claire James is a Memphis-based singer/songwriter who’s sound and story have been influenced by a multitude of genres. From southern gospel to classical vocal training, every step of her life thus far has included music. She draws inspiration from a variety of artists, including Leon Bridges and Lake Street Dive. Claire’s lyrics are authentic and open with the intent to share her own story with others and give them a sense of belonging. Phillip Bond is a Memphis-native, soulful-pop artist whose sound is colorful and vibrant. His sound is influenced by many artists of various genres. Ranging from Frank Ocean to Beyonce to Prince and many more. From a young age, Phillip has always gravitated towards the stage. The tour life, performing on big stages, and releasing his own music has been the dream that he has always been chasing. Phillip wants his music to tell his story, to help heal others, and be genuine. Bailey Bigger is a Memphis-based singer/songwriter, and has been writing and performing since the age of nine. 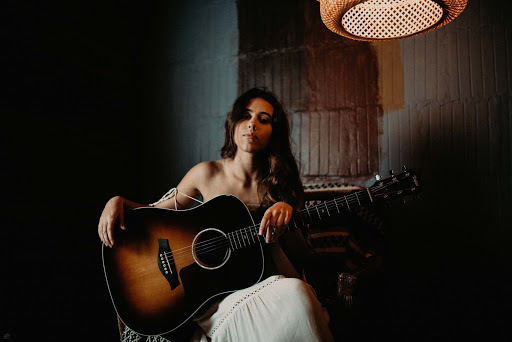 Influenced by artists like The Avett Brothers, Gillian Welch, Bob Dylan, Joni Mitchell, and Simon and Garfunkel, Bailey strives to touch her listeners with a sense of community, through her passion for life, love, lyrics, and song.